Every tie-down mount bracket from BannerFlex is custom assembled per order, so you know you’re getting a brand-new product crafted just for you. 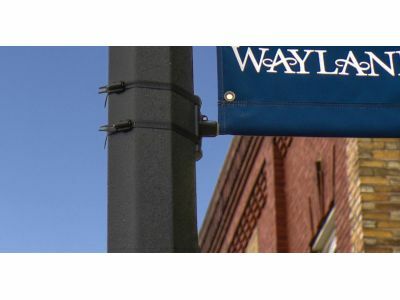 With the tie-down bracket, you can mount banners that are designed to flutter in the wind without worrying about any damage being caused to your pole banner. With a cable tie or bungee, the bracket holds strong to your banner while letting it flow in the wind safely. Whether it’s for your tie-down mount bracket or extra assurance for our regular rods and brackets, the gauge wire tie provided by BannerFlex can give your ties the strength and durability they need. 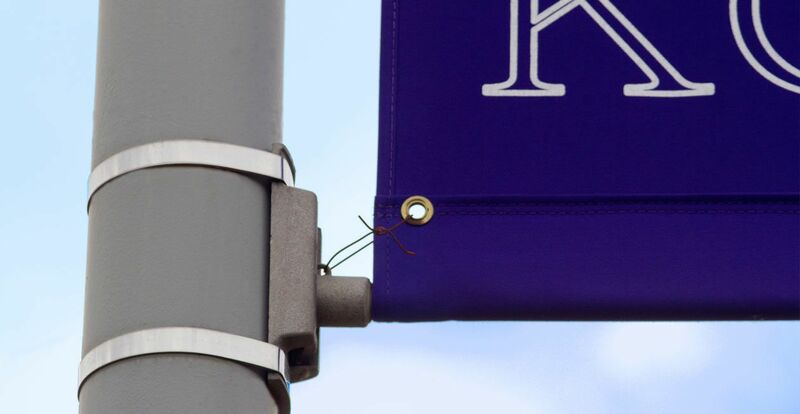 Compared to a zip-tie or rope, a metal wire tie will last through the elements of the outdoors and ensure your hardware maintains proper banner placement. BannerFlex offers a variety of banner brackets, but the revolutionary BannerFlex Airow Rod is specifically made for areas dealing with high wind loads. Containing no moving parts and a corrosion resistant aluminum, the Airow Rod keeps your banners safe, while holding strong against winds. Increasing flexibility by up to 50% and designed to dissipate wind energy more easily, the Airow Rod is the best choice to cut wind loads. With time-tested, dependable hardware, BannerFlex has all the solutions that you need for hanging outdoor banners to walls, light/street poles, and more. When you need outdoor hanging banners that need to withstand the wind, trust in the hardware from BannerFlex.